An Australian-designed small car will star on the General Motors stand at the Paris motor show. General Motors has released images of a new Australian-designed small hatchback that will be built alongside the Commodore in South Australia from late next year. 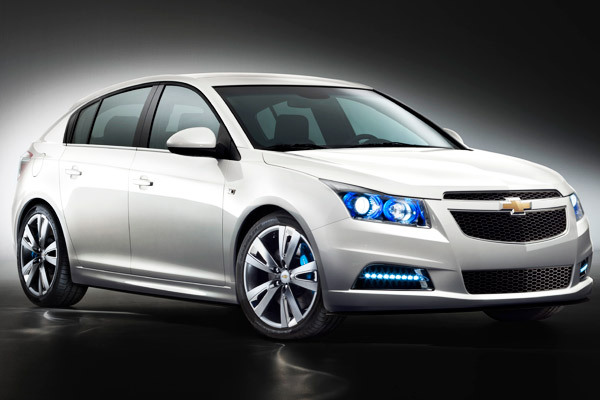 The five-door Cruze hatchback show car will be officially unveiled at the Paris motor show later this month. MORE than 20 years after it first appeared, a classic Mambo design has proved too controversial to sell on a department store T-shirt. 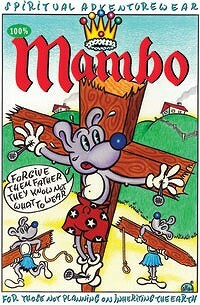 Big W has removed 200 shirts depicting the crucifixion of a mouse from 30 of its stores following a complaint. The design was created by the Australian artist Richard Allen in 1986. I have written often about the doctrine of hot news, and how one day it could be used to stifle the sharing and posting of news as it happens, giving large media companies an artificial and short-term monopoly of the reporting said news. Yes I did say that the tone of the article was a bit tongue and cheek and that I certainly hoped that I was not writing a precognition piece. The fact however remains that this practice is indeed happening, and that if people don’t stand up and voice their displeasure with media companies hijacking the news in this manner then this practice may very well become the status quo.So having written briefly of the consequences of this disturbing trend, I thought I’d explore further the concepts of this practice, it origins and the various applications that have occurred thus far.Hot news is a long recognised but seldom used common law doctrine that assigns a temporary property right to the reporting of a hot news item, similar to copyright but obviously with a much shorter expiration period. It dates back to a 1919 US Supreme Court decision, and has the following five factor test. 5/the use of the news would lessen the incentive for the reporter, composer and producer of the news to continue to produce the news or substantially reduce the quality of the said news. These are rather broad in their scope and could easily be corrupted to stifle competition. Now obviously rules, laws and regulations are conceived and enacted to correct a perceived injustice that existed at the time. In the case of Hot News this was created to protect news gathers in a time when there was a very high costs in reporting the news due to geographical and technological limitations. News agencies would spend huge sums to embed journalists is the field , set up bureau’s in remote locations and generally source and report the news themselves. However less than scrupulous news organisations would simply buy the competing newspaper edit and rewrite said stories as if they had researched the facts themselves and of course publish. This seemed unfair and it was, the world was a vastly different place than it is today and that republishing others costly work could seriously undermine a news organisations ability to fund the sourcing and creation of said news, this outcome would not have been in the best interests of the community and thus laws were enacted to prevent this. However as technology advanced and the world really became a lot smaller, news became more instant and the advent of television meant these disputes faded away. These days basically the news is all the same, competition exists in how organisations differentiate their copy through pictures, commentary and editorials but the basic premise is the same. 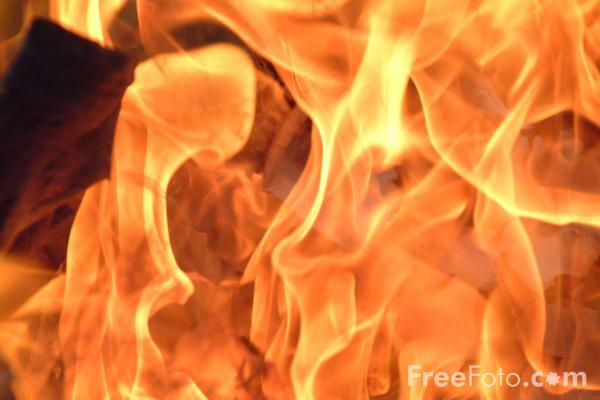 The Hot News Doctrine is not as sometime assumed an extension of copyright. You can not copyright facts or idea’s, copyright does not protect ideas, concepts, systems, or methods of doing something. Your expression of the ideas however can be copyrighted. In general internet terms, a news aggregation website is a website where headlines are collected, usually manually, by the website owner. In computing, a feed aggregator, also known as a feed reader, news reader, rss reader or simply aggregator, is client software or a Web application which aggregates syndicated web content such as news headlines, blogs, podcasts, and vlogs in a single location for easy viewing. Newspapers regularly object to these practices, arguing that they dilute the value of their own work, and that because these aggregators present the most valuable text of any given story in the headlines that the majority of readers just consume that text and never bother clicking through and linking to the original story, Also of concern and in my opinion their biggest beef is that these aggregators sell advertising in direct competition to the news sites and are thus profiting on somebody else’s work. Arstechica wrote a brilliant article on this topic that you can read here, as well Techdirt have covered this issue on multiples occasions both here and here. I would recommend that if you are interested in this topic that you read these articles. “Southern District of New York Judge Kevin Castel rejected a motion to dismiss a claim brought by the AP against All Headline News Corp. (AHN) for misappropriating AP breaking news and presenting it as the work of its own reporters. 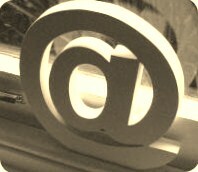 The rulings came in The Associated Press v. All Headline News Corp., 08 Civ. 323, a suit where the AP alleged that defendants W. Jeffrey Brown and Danielle George instructed "poorly paid individuals" at All Headline News to locate breaking news stories from other sources and edit them for use under the All Headline News banner. The banks--Merrill Lynch, Barclays, and Morgan Stanley--claimed that Fly was "free-riding" on their work, stealing their intellectual property, and costing them money, the stories say. They asked Judge Denise Cote of federal court in Manhattan to bar Fly from publishing their reports for four hours or until noon at the earliest, Bloomberg says. like this article have something to add leave me a comment, I would love to hear your opinions on this hot topic. PART of an artillery shell unearthed during building work in the bayside suburb of Brighton has been identified as a relic from World War One. Two builders uncovered the brass-topped ordnance while digging a shallow trench along the fence of a property in Lawrence Street earlier this week. One of the diggers had completed National Service and immediately realised what it was and contacted police, who in turn contacted the Army. I have become infatuated with an old American Favourite Dr Pepper. I would love to tell you what it tastes like however you cannot tell anyone what Dr Pepper tastes like because it's so different. It's not an apple, it's not an orange, it's not a strawberry, it's not a root beer, and it’s not even a cola. It's a different kind of drink with a unique taste all its own. Dr Pepper is a soft drink marketed as having a unique flavor. The drink was created in the 1880s by Charles Alderton of Waco, Texas and first served around 1885. Dr Pepper was first nationally marketed in the United States in 1904 and is now also sold in Europe, Asia, Australia (as an imported drink) and South America. Wagon Wheels are a snack food in Australia, Canada, United Kingdom, and the Republic of Ireland which have a marshmallow centre and are covered in a chocolate flavoured coating. The biscuit itself is round to represent the wheel of a wagon (hence the name). Wagon Wheels were invented by Garry Weston (1927-2002) (son of W. Garfield Weston). Garry Weston worked for his father's business in Australia before taking over his UK family business. The biscuits were first launched at the 1948 Olympia Food Fair. The name was derived from the fact that the Wild West was very popular at time. They were originally marketed as Weston Wagon Wheels, brand now owned by Arnott's . It's back for all to enjoy, you can now all pick up an egg flip Big M at your local sella fella but only for a limited time. 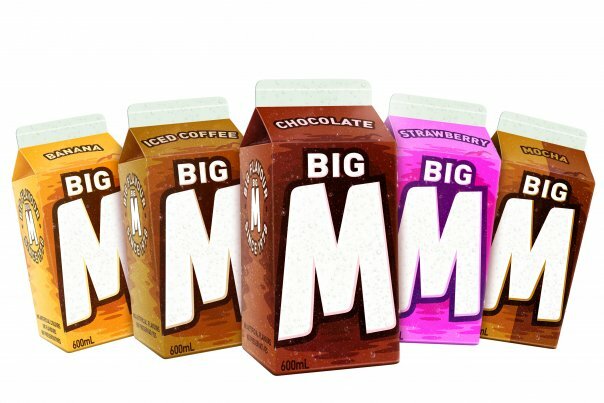 I enthusiastically wrote of Big M a few weeks ago and how Big M is a popular brand of flavored milk that was first established here in Victoria in 1978. It quickly expanded its distribution into the states of New South Wales, South Australia and Queensland. I first remember when Big M first arrived on the scene, suddenly we did not have to reach for the Quik (NESQUIK®) anymore to have flavored milk , it was a brilliant marketing strategy that aimed to increase milk sales and since the humble beginnings we have seen BIG M become a staple in Australian dairy cabinets and fridges everywhere for the past 32 years, It brings back glorious memories of summers past. well now its official Egg Fliphas been crowned the winner and will be joining the following range in dairy cabinets and fridges everywhere on the 30th of August . I however wont be around for long as it is for a limited time only, so make sure you get out and taste it . What do you think will you be rushing out to purchase Egg Flip Big M? I know I will be. The new series of Doctor Who will be split into two for the first time, with its showrunner, Steven Moffat, promising the show's biggest ever cliffhanger – "an earth-shattering climax". Next year's 13-part series, the sixth since Doctor Who returned in 2005, will run for seven episodes and then return in the autumn for another six. Moffat said the Easter "mid-season finale" would be a "game-changing cliffhanger".